Both of these wines were just amazing, not even taking into account the price bargain. I urge you to try both and compare them to the pricier wines. First, a little bit about Pinot Noir. It is a dry, red wine that typically exhibits fruit-forward character with strawberry, cherry, raspberry and blackberry fruit taking the cake for palate presence. Notable earth-driven layers are also quite common in a glass of Pinot, with herbal, mushroom, leather, and game-like qualities being fairly familiar. Warm spice notes also make their way into the Pinot Noir palate profile, often in the form of cinnamon, clove and smoky, tobacco nuances. Next Cabernet Sauvignon, often referred to as the “King of Red Wine Grapes,” originally from Bordeaux, with a substantial foothold in California’s wine races, has the privilege of being the world’s most sought after red wine. Cabernet Sauvignon grapes tend to favor warmer climates and are often an ideal wine for aging, with 5-10 years being optimal for the maturation process to peak. Because Cabs take a bit longer to reach maturation, allowing their flavors to mellow, they are ideal candidates for blending with other grapes, primarily Merlot. 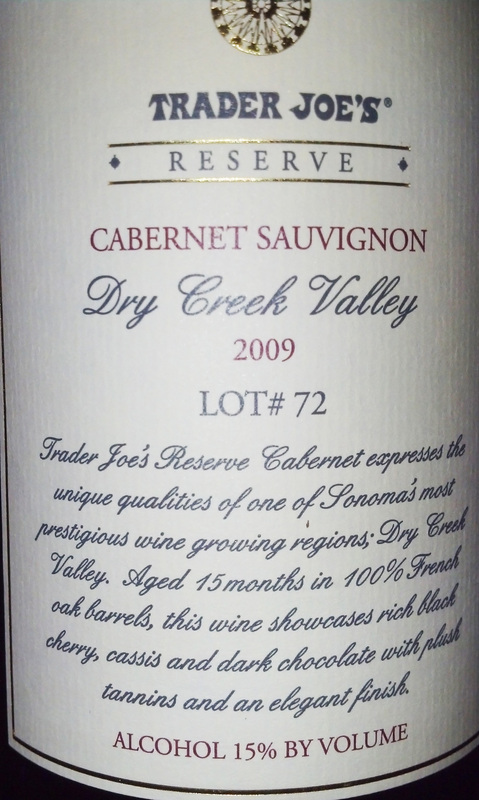 This blending softens the Cabernet, adding appealing fruit tones, without sacrificing its innate character. Cabs range from medium-bodied to full-bodied and are characterized by their high tannin content which serves to provide structure and intrigue while supporting the rich fruit characteristics. The flavor profile includes plum, cherry, blackberry, blueberry, warm spice, vanilla, tobacco and sometimes leather aromas and or flavors. 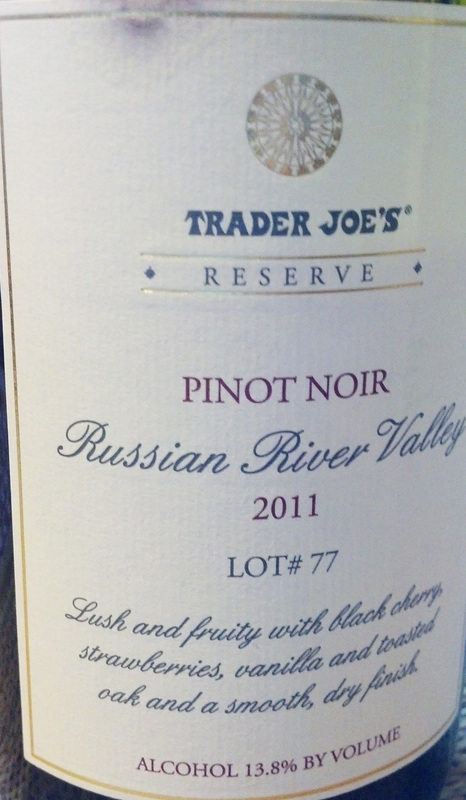 Love the quality of Trader Joe’s wine, especially for the bargain price!